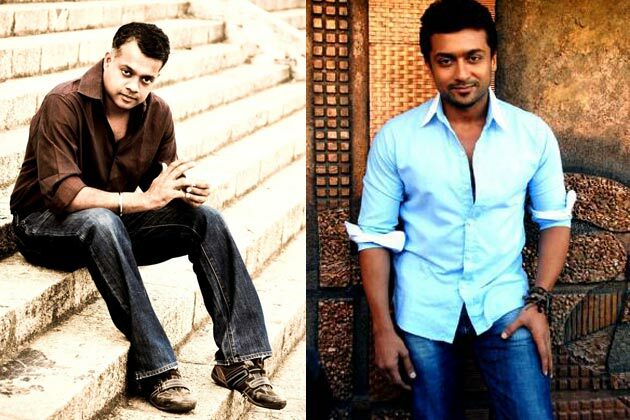 Gautham Menon approaches Suriya again! Home » Dhuruva Natchathiram | Gautham Menon | Suriya | » Gautham Menon approaches Suriya again! Director Gautham Menon is oscillating about who to rope in for the male lead in his next film. Having a little tough time in the recent days with the completion of Achcham Enbathu Madamaiyada with STR, Gautham has gone selective for his future ventures. The duo of Suriya and Gautham had been in talks during the pre-production of Dhruva Natchathiram but unfortunately Suriya walked out at the last moment due to some conflicts. But in a recent statement, the director revealed that he is still willing to work with the Singam actor. "It’s true that I was unhappy with Suriya’s approach but later realized that why one should miss a good actor like Suriya. Today, a lot of young generation actors are there but no one is as dedicated as Suriya. ", said Gautham Menon. Being in the volatile cine field, pondering on bitter experiences will not help to grow, as according to him, Suriya is a terrific actor and one of the most dedicated among his contemporaries. He also reported to have seen the sincerity and comfort zone only with Suriya next to Kamal Haasan. So he is going back to have talks with him and may be Dhruva Natchathiram can take life ! Now that Gautham is ready to forget the past, all eyes will now be on Suriya, for fans would be hoping that these two gentlemen ignore their differences and join hands once again for a fresh project. It is also to be seen if they can resuscitate 'Dhruva Natchathiram', which might end up as one of Gautham's best film in his entire career.